Your doctor has requested you have some tests. 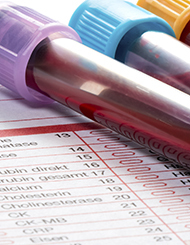 To appropriately manage your health with your GP it is very important that you have these tests. To receive your results your GP will ask you to either phone for the results in 7 days OR reserve a follow up appointment to discuss your results. • If your results are normal our reception staff will inform you when you contact the Practice. • If your results are more abnormal our reception staff will contact you to make an urgent appointment with your GP OR your GP will phone you to discuss them.